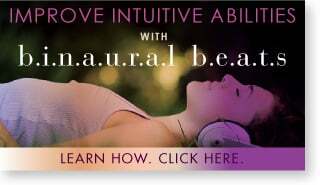 Have you ever wondered how Akashic Record readings are done? 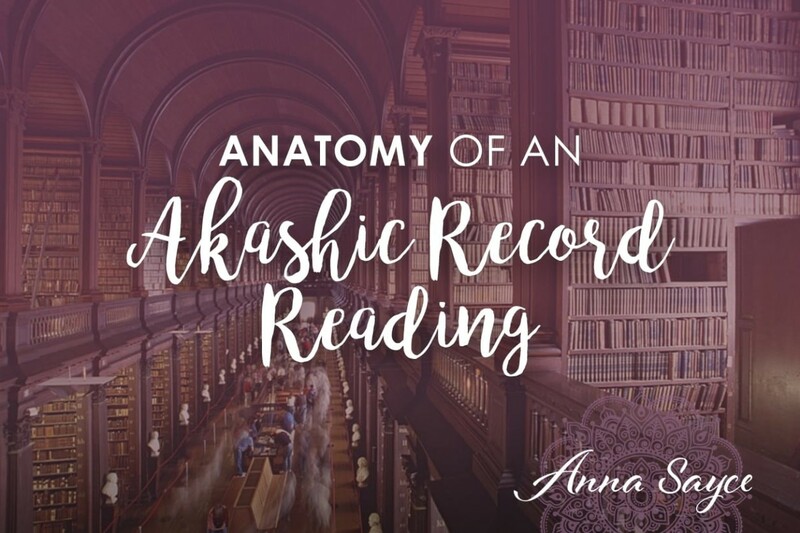 In this article I’m going to give some details about my methods for receiving information from the Akashic Records, along with examples of the kind of information that is commonly retrieved during this type of reading. Most people also want to know more about their Spirit Guides and Guardian Angels, and that is often included in this reading as well. 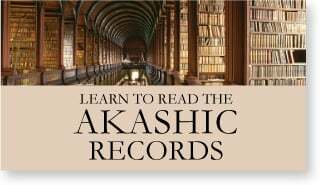 The Akashic Records are a library of records where you can “go” etherically and look up someone’s ‘soul record’, using their full name at birth, full name now, date of birth and place of birth. The soul record contains information about all the soul’s lifetimes, origins and past. Therefore, it is a great source of information if you want to find out more about your life purpose, past, and soul gifts. 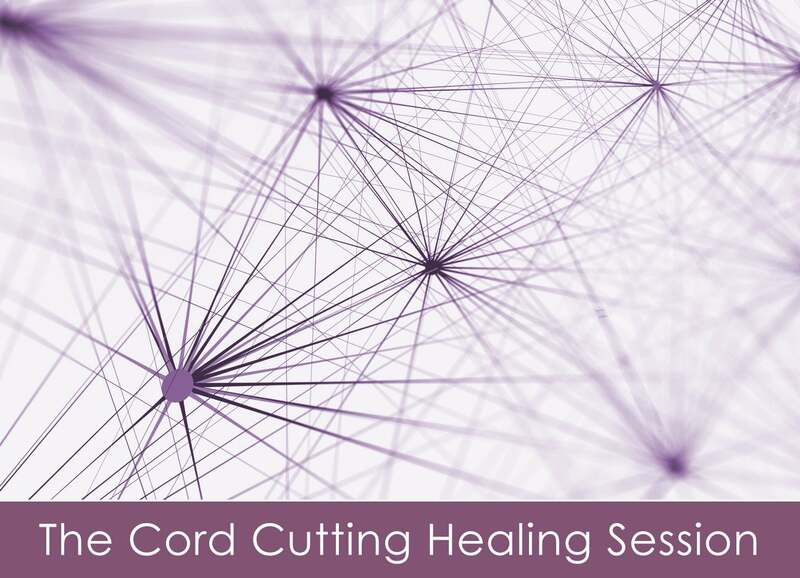 Before the session, I take myself off (etherically, obviously) to the Akashic Records and I ask a series of questions about the client. I am able to receive answers on all of the above questions within several minutes. New practitioners are taught to use dowsing to find out which of the above apply to a client. More experienced practitioners tend to use their claircognizance and their pendulum to find out which apply. Other information may also be channelled in a reading, such as further information about the life lessons or past lives. Let’s take a look at some of those questions, to give you a better idea of what sort of information comes through during this type of session. 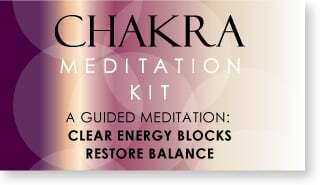 Most people have heard of the seven main chakras that we have, but most people do not know that there are also seven ‘places’ or realms which exist in the universe which hold the energetic frequencies associated with each of the seven chakras. Each realm is presided over by an archangel, and every soul who incarnates here ‘trains’ in one of these realms, and then becomes a specialist in bringing that particular energy here when they incarnate. So you, dear reader, are an emissary of one of these realms, and this will manifest in your character, your approach to life and work, and the way you interact with others – it is usually entirely unconscious. Some people can be an emissary of more than one realm, but most people choose just one to embody. Other people embody healing energies, or empowerment, for example. This is a really big part of your soul’s purpose – and it is usually about what you are ‘being’ rather than what you are doing. Those who know how to read the Akashic Records can often know a person’s Archangelic realm once they get to know them a little (without doing a reading), as each realm has its own energetic signature that becomes clear to you, the more readings you do. Read this article Where Does Your Soul Come From? to find out more about this. This is such a fascinating topic. I wrote more about this in this article Are You Learning Your Life Lesson? This is a very interesting part of the reading that can make your whole life make sense. Life lessons I have come across most recently include: self-love, faith, patience, peace, surrender, flexibility, inner authority, moderation, tolerance and balance. This is a small selection as technically there are dozens of life lessons. Other readers do come across different ones, as we all attract different clients with different paths and lessons. On a professional level, I tend to attract people who have similar lessons to my own. My lessons are moderation, power, pleasure, faith, lightheartedness and inner authority. Note that we’re often learning what we’re bringing to others: I bring balance through my Archangelic realm but I am learning moderation as my primary life lesson. Someone else may bring loving energies through their Archangelic realm and yet be learning a life lesson of self-love. This part of the reading can tell you about what you’ve been getting up to between incarnations. We have ‘careers’ in between lifetimes which affect our skills and strengths when we incarnate. These careers usually take the form of studies or services we perform. Did you know that if you have strong skills in counselling and advising others, this may well be a role that you have performed on the other side? Some of my clients have acted as life review counsellors between lifetimes, for example. Others have studied human ethics or serve in the astrals. For this part of the reading, the Akashic Record reader usually looks into the periods in history which have most shaped a soul’s path. Not all souls will have a continued history of incarnation (whether you have or not depends on your soul group of origin, I have found). You might find that you incarnated multiple times in Ancient Greece, and then didn’t incarnate again until around the time of the Industrial Revolution, or that you fought in WW1. Sometimes clients ask me to get more details about a particular lifetime. I can do this if needed, but it may be more constructive or healing to get a past life regression. 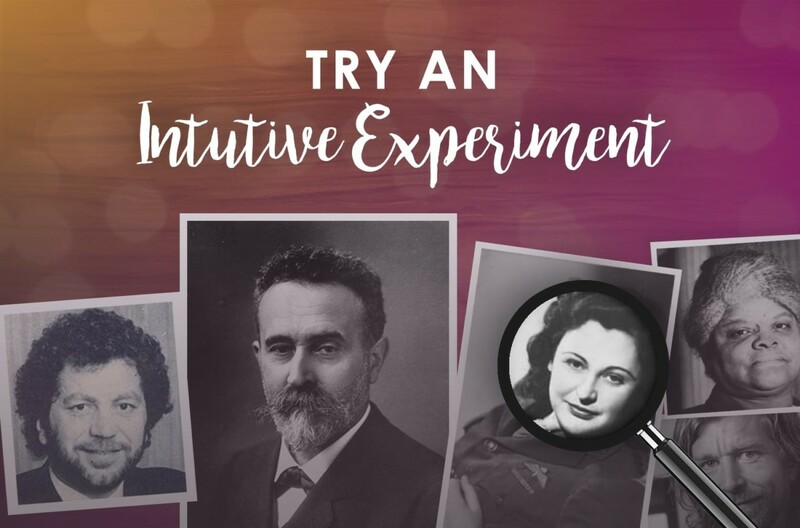 Some souls have a lot of familiarity with one or more spiritual paths from their past lives and this can be interesting to research. For example, souls who have had a lot of lifetimes in the Buddhist religion tend to have learned a lot about compassion. So this can tell us something about your past life lessons. In addition to all of the above, practitioners also look up the 5 ‘roles’ that you fulfill in this lifetime. These are roles such as imparting information, cause fighter, management, humourist, story teller, to give a few examples (there are 34 of them altogether.) Sometimes this information reinforces what the client has already been told (in the Archangelic realm and soul group part of the reading) and other times it highlights gifts that have been developed over many lifetimes, and which now come naturally to the client. This is very useful information to have in the career sense. 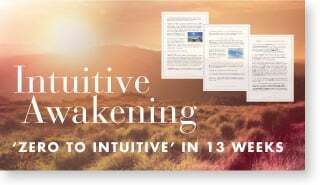 This part of the reading tells the client about his/her strongest intuitive gift, which tells us how they are likely to be receiving nudges from the Higher self and Spirit Guides. 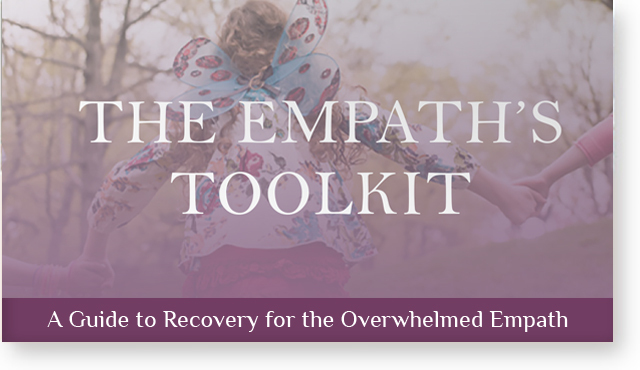 In this part of the reading, I also tell a client about their empath gifts (there are 9 types of empath gifts altogether.) Not everyone has empathy as a gift, but many of my clients do. In the remainder of the time, a client will often have questions to ask about their Spirit Guides, career, relationships, or decisions. This is not technically part of the Akashic Record reading but it works well tacked onto the end, because many questions can be answered fully through the information we already have from the Akashic Records. For example, once you know your life lessons, your relationships begin to make more sense – it is an excellent context to have for many other life questions. If you would like to be able to perform this type of reading for clients, I offer an online program which will show you how. For those who are interested in the origins of the Akashic Records information we have, it has many sources. It was originally channelled and researched by a metaphysician from Colorado and augmented by several practitioners over the course of the last few decades. 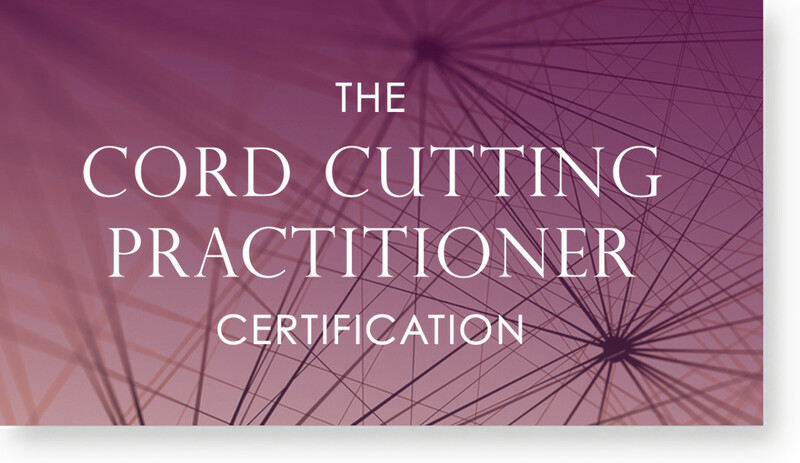 Practitioners and teachers of this method include Mamie Wheeler, Venessa Rahlston, Anne Brewer, Andrea Hess and Susann Taylor Schier. 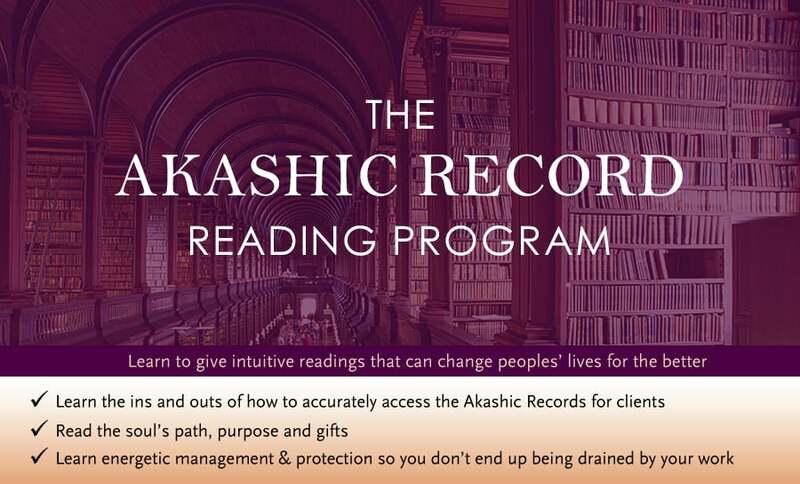 I have further refined, clarified and added to the information and believe that this application of the Akashic Records information is the clearest, most practical and down to earth you will find out there. If you have any questions or comments please leave me a message below. 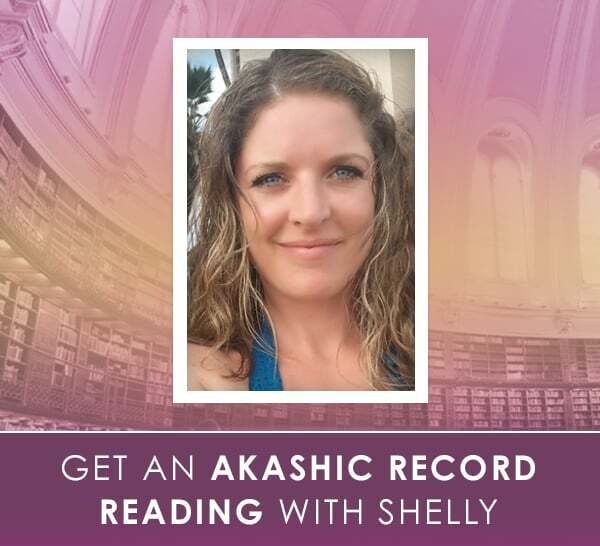 Have you had your Akashic Record read? How was the experience? Is there anything a client should do that would better prepare for an Akashic reading, such as meditating, praying, lighting candles, etc? Does anything in particular help them to get in the appropriate ‘space’ or help you better connect with their soul? Thank you for sharing this, Anna. I’ve been wondering about the Akashic records lately, and this really gave me some insight into them. 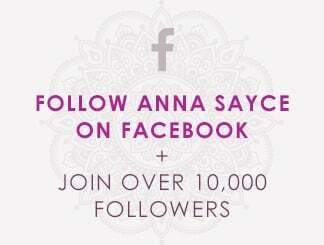 I just tought it doesn’t hurt to ask;are you able/can you do you do akashic record reading by email? I only ask,because i live in finland,and i’m not so sure wheter or not a phone reading would be possible for many reasons,and not sure about the skype. (I’ve never used it),and while i understand english well,and obviosly i’m able to write it,my pronauncing is..awful..but,i can’t explain it,i just feel like i would like you to read my Akashic record.. i’m pretty sure this might not be possible,but,i needed to ask.I’ve read your writings for few years,and somehow,keep getting pulled back :)..i’ve been trying to find someone to do this kind of reading,and for some reason i feel,i don’t know,kind of trusting toward you.I hope that doesn’t sound weird. You might not even see this or,have time to respond,but,like i said,i needed to at least ask..
Hi there, I only offer phone readings at the moment!